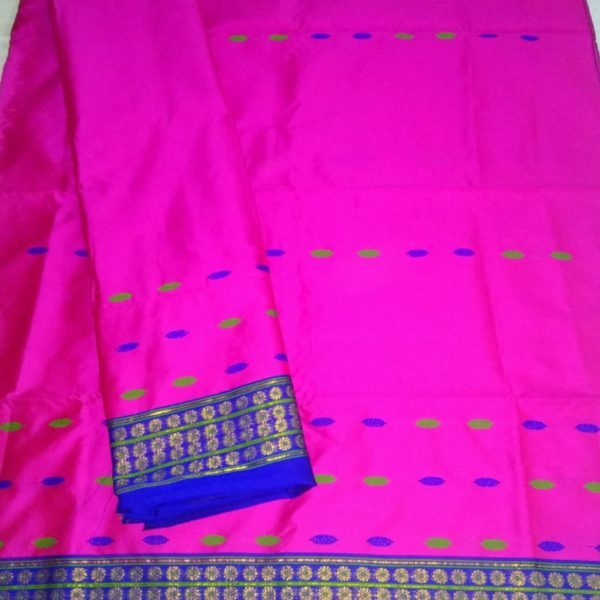 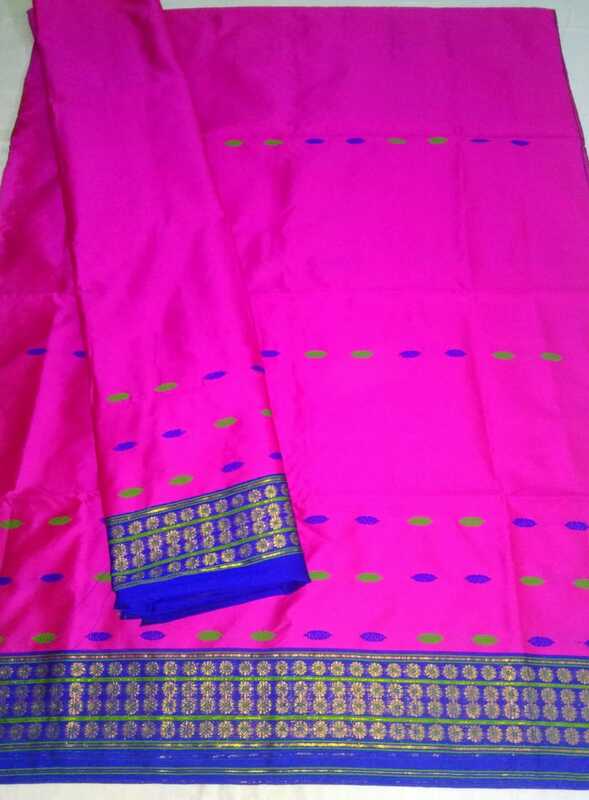 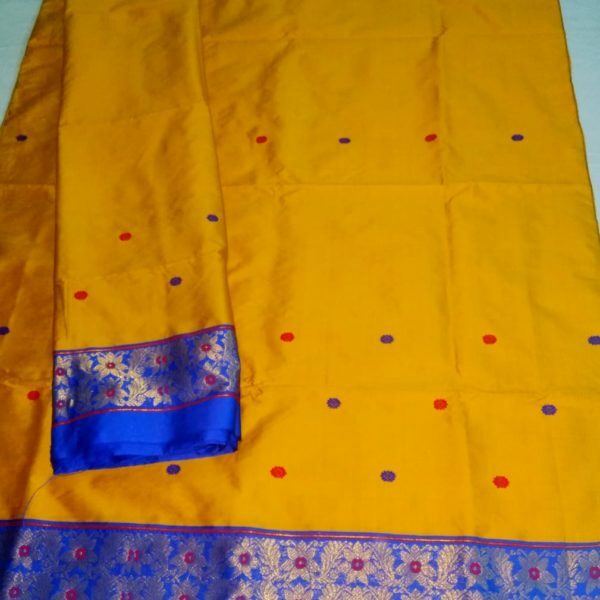 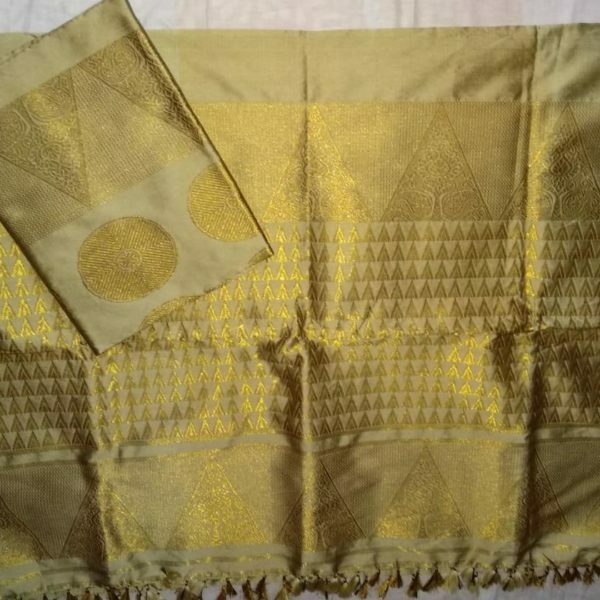 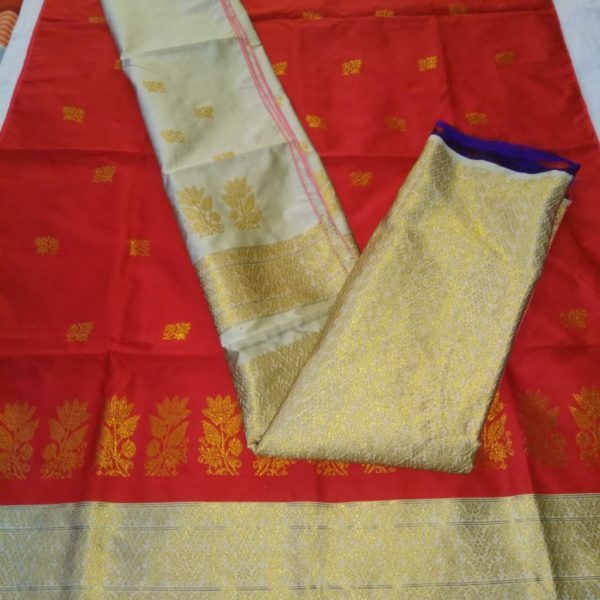 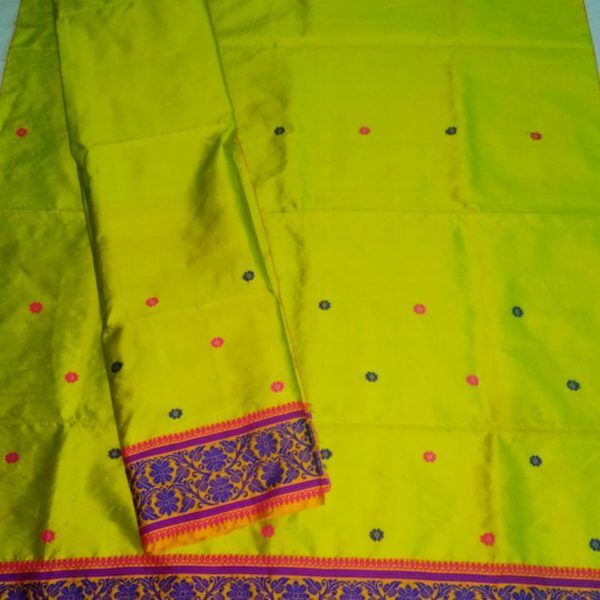 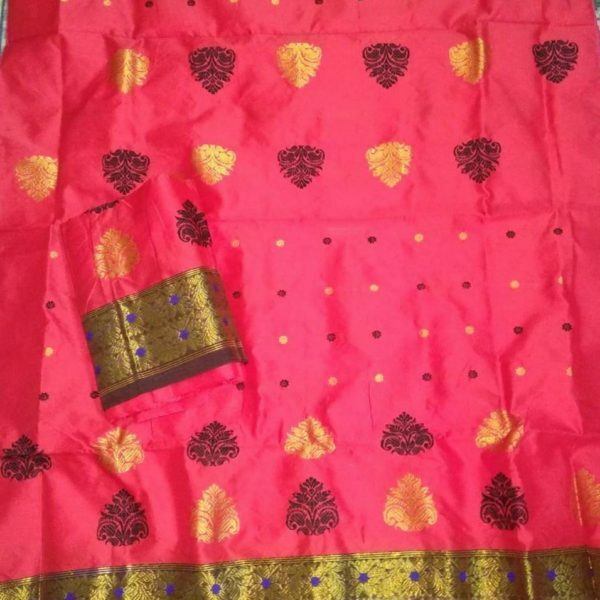 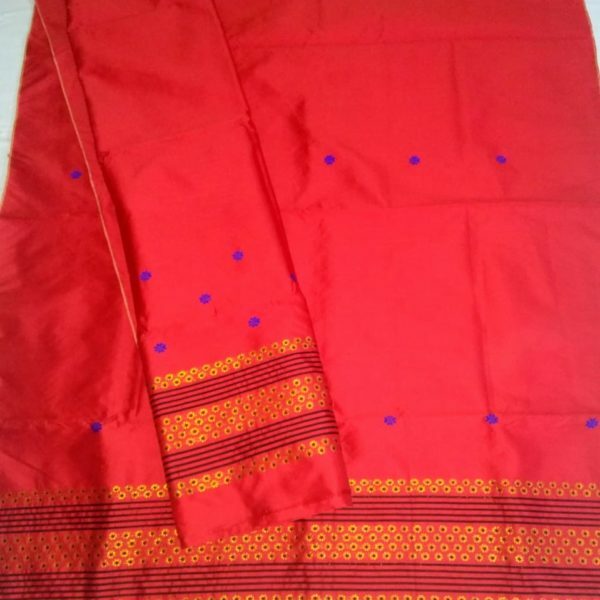 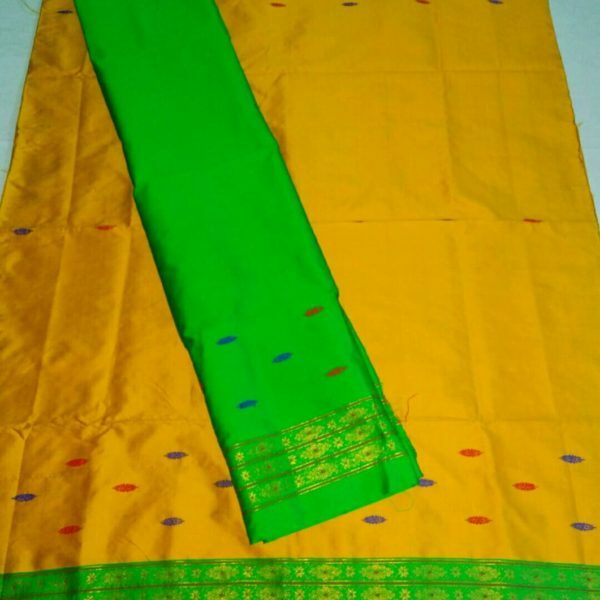 This is a beautifully designed rani pink colored Ludhiyana Paat Mekhela Sador where the designer made small designs using blue and green threads which is also called “Buta Bossa” locally. 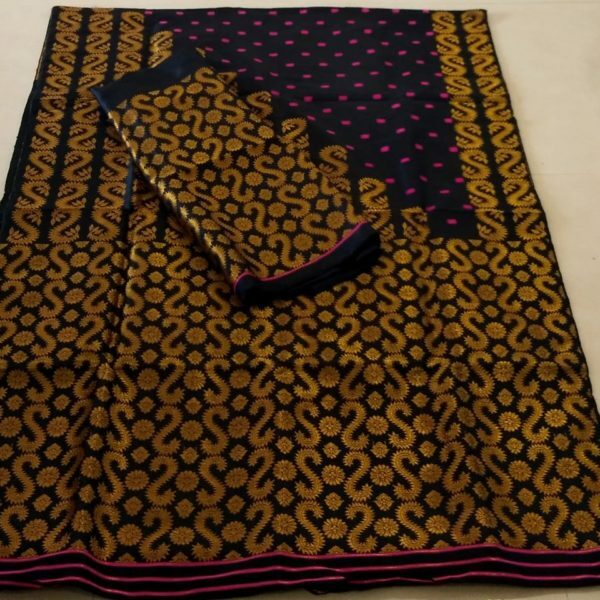 A heavy blouse piece is also included where it can be used to fit and make for any size. 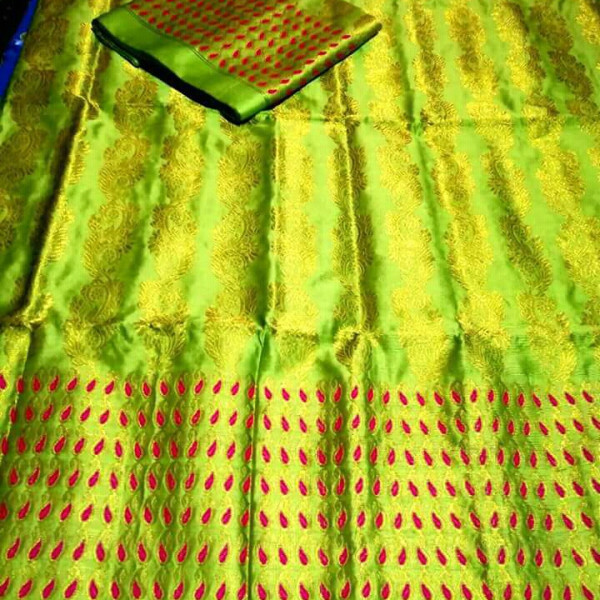 This Mekhela Sador is ideal for Marriage Parties in Assam , Pujah or some special rituals to be used by young girls and ladies.